Chairman of the Board & CEO, Henry Schein, Inc. 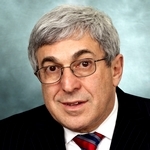 Since 1989, Stanley M. Bergman has been Chairman and CEO of Henry Schein, Inc., a Fortune 500® company and the world’s largest provider of health care products and services to office-based dental, medical and animal health practitioners, with nearly 16,000 employees and operations or affiliations in 24 countries. The Company’s 2012 sales reached a record $8.9 billion. Henry Schein has been a Fortune “World’s Most Admired Company” for 12 consecutive years and is ranked #1 in its industry for social responsibility. Mr. Bergman serves as a board member or advisor for numerous institutions including New York University College of Dentistry; the University of Pennsylvania School of Dental Medicine; the Columbia University Medical Center; Hebrew University; Tel Aviv University; the University of Witwatersrand Fund; World Economic Forum’s Health Care Governors; the Forsyth Institute; the Business Council for International Understanding; and the Metropolitan Opera. Mr. Bergman is an honorary member of the American Dental Association and the Alpha Omega Dental Fraternity. His awards include being the recipient of the Ellis Island Medal of Honor; the CR Magazine Corporate Responsibility Lifetime Achievement Award; a Doctor of Humane Letters from A.T. Still University’s Arizona School of Dentistry and Oral Health; and Honorary Fellowship of King’s College London. Stanley and Marion Bergman and their family are active supporters of organizations fostering the arts, higher education, cultural diversity and grassroots health care and sustainable entrepreneurial economic development initiatives in the United States, Africa and other developing regions of the world. Mr. Bergman is President of the American Jewish Committee. Mr. Bergman is a graduate of the University of Witwatersrand in South Africa, and is a South African Charted Accountant and a NYS Certified Public Accountant (CPA).